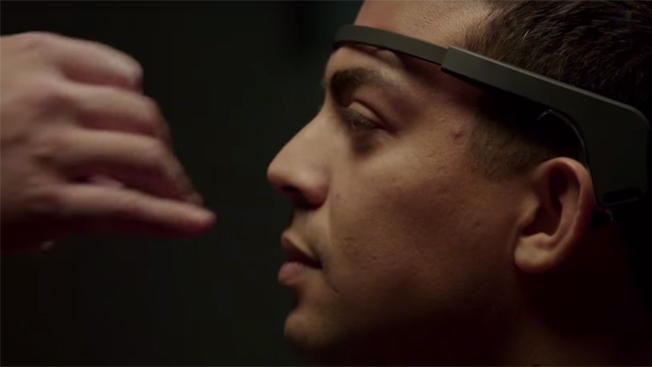 To promote its Sense8 series, created by the Wachowskis and J. Michael Straczynski, Netflix and production company Tool crafted "Brainwave Symphony," an electronica recording made in part by attaching electroencephalograph—or EEG—sensors to the heads of eight people who binge-watched the first season and then sat through a common set of visual and aural stimuli. In a complex multistep process, the Netflix team ran the different readouts—alpha, beta, delta, gamma and theta, each with its own frequency range—through various audio processing to render a short musical theme for each person, and applied those melodies to a predetermined rhythmic structure, ultimately weaving the parts together into a full piece. For the geeks among you (squarely in Netflix's target here), the campaign website offers more details on the various technological aspects. A brief video summarizes the process, and Spotify is streaming the song itself. The track certainly won't grab you like a blistering summer pop hit, but it does have enjoyable enough moments as an ambient listening experience. In fact, the project to some degree evokes GE's habit of turning the sounds of heavy machinery into electronic music. Also, IBM's campaign with James Murphy to turn U.S. Open scores and other tennis data from the tournament into computerized music. Now, if only Heineken could just convince the MTA to let Murphy turn New York City's subway turnstiles into instruments, too.